The WeatherPort General Purpose Wind Sensors are moderately priced quality anemometers and vanes. 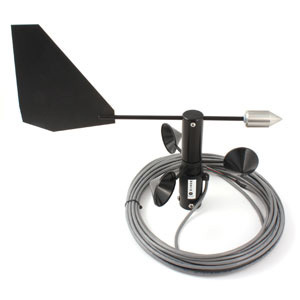 The combination cup anemometer and wind vane units utilize an in-line configuration, eliminating the need for a crossarm. 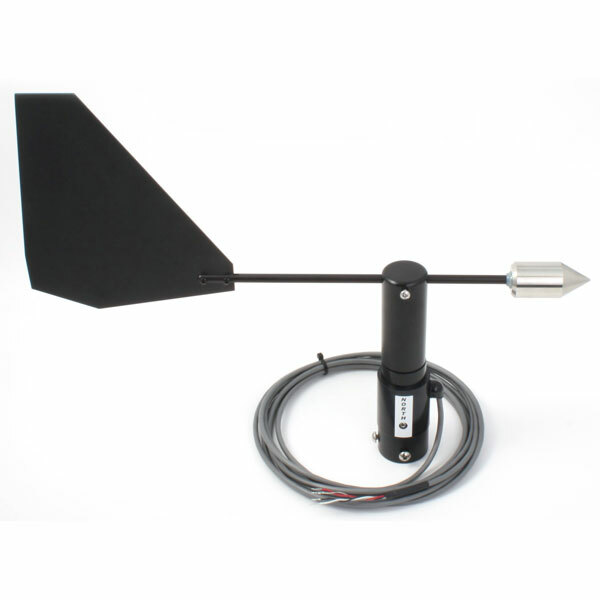 The High Sensitivity Wind Vanes are specially configured to meet EPA requirements for PSD (Prevention of Significant Deterioration). This series of WeatherPort Wind Sensors are moderately priced quality transducers designed for general application. A combination of injection molded thermoplastic, anodized aluminum, and stainless steel parts contribute to reliable operation in adverse environments. These sensors are easy and inexpensive to maintain. The combination three cup anemometer and wind vane units utilize an in-line configuration, eliminating the need for a crossarm. 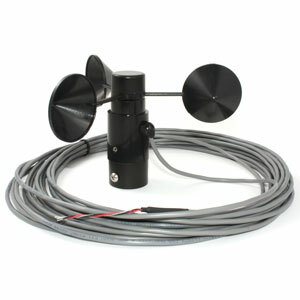 The anemometers produce a series of output pulses having a frequency directly proportional to wind speed. 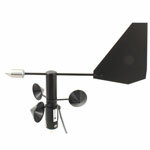 Wind direction is measured by a balanced vane coupled to a 20k ohm conductive plastic potentiometer. With a constant excitation voltage of less than 15 volts, the output from the wiper arm is proportional to the wind azimuth angle. The WeatherPort High Sensitivity Wind Sensors are similar to those described above, but they are specially configured to meet U.S. Environmental Protection Agency requirements for PSD (Prevention of Significant Deterioration). The 200-WS-02 is a combination of the above sensors mounted in an in-line configuration.